$34.50 $24.15 Save 30% 15"
Condition: the bamboo has side crack! "Dieu Cay" is the name of this pipe. This is used to smoke tobacco in Vietnam. It is still very popular in the country side, especially for older people. Water is filled in the bottom, tobacco is put in the "nose" and you have a Vietnamese style smoking! The water filters the smoke and also make the distinctive sound. 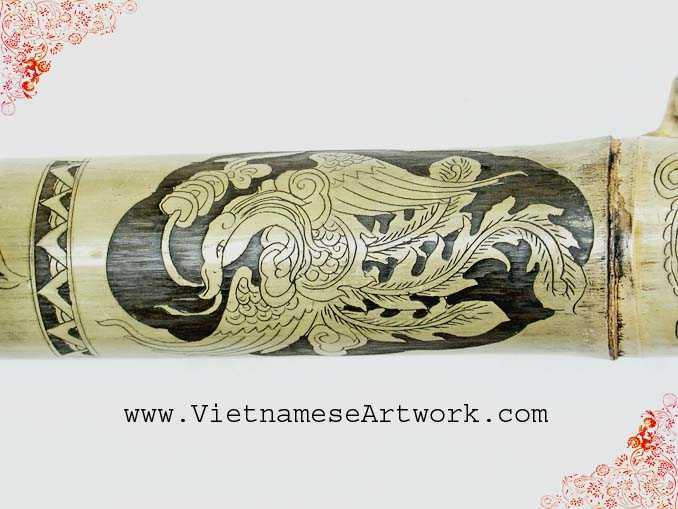 It is made out of bamboo with hand carved pictures of dragon and phoenix on. The price is for one pipe!